President Donald Trump reportedly stumped national security adviser John Bolton with one crucial question before making his heavily-criticized decision to withdraw U.S. forces from Syria. The president agreed to the withdrawal during a December 14 phone call with Turkish President Recep Tayyip Erdogan, two officials told NBC News, but the original purpose of the call had been “for Trump to tell Erdogan to back off” threats to attack American supported Kurdish rebels, NBC reported. 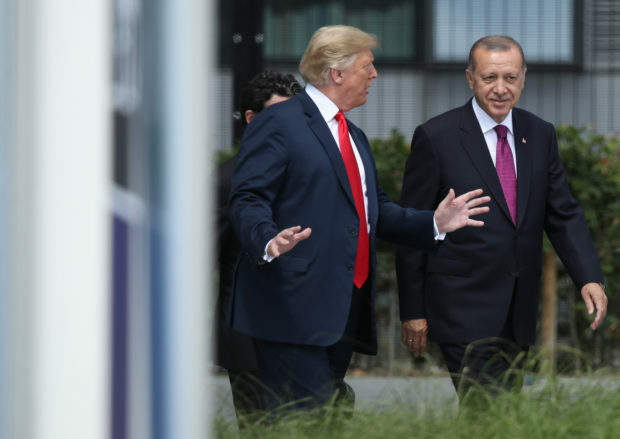 But Trump went off-script during the call and agreed with Erdogan, particularly when the Turkish president asked Trump, “Why are you still there?” when the Islamic State had been 99 percent defeated. Erdogan reportedly told Trump that his country could handle what was left. The national security team spent the following weekend unsuccessfully trying to alter Trump’s decision, to no avail, and the news hit the press on Wednesday. White House senior policy adviser Stephen Miller summed up the president’s view during a Thursday night appearance with CNN’s Wolf Blitzer.